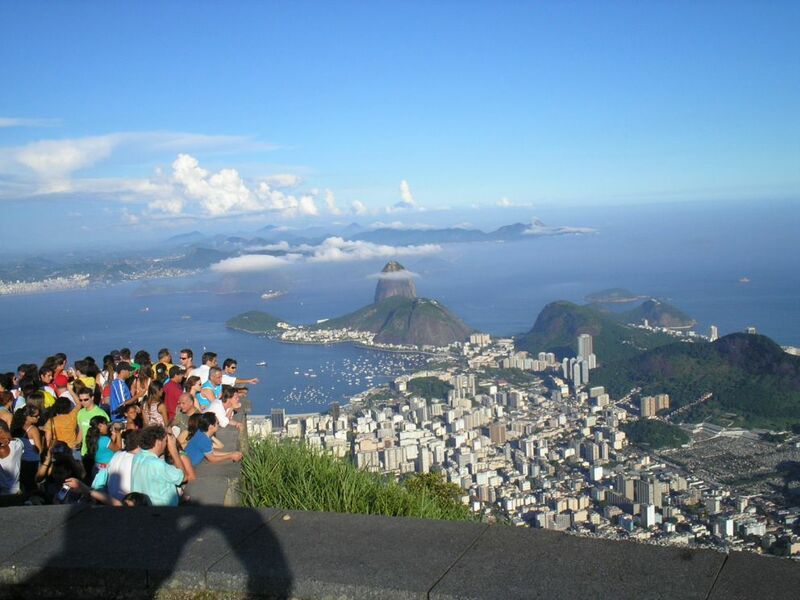 Do you plan to attend 2014 FIFA World Cup or 2016 Olympic Games in Rio de Janeiro? If so, the city is already getting ready to welcome you. Here is how Rio is using technology and data management to get smarter. In April 2010, the State of Rio de Janeiro was hit by a natural disaster, when floods and mudslides killed over 200 people and made 15,000 homeless. Worse, Rio de Janeiro’s Mayor admitted that Rio’s preparedness was “less than zero”. To avoid similar tragedies, the city had until the next rainy season to prepare. This led to the creation of Rio Operations Center in partnership with IBM. It opened its doors on December 31st 2010, only a few months after the catastrophe. 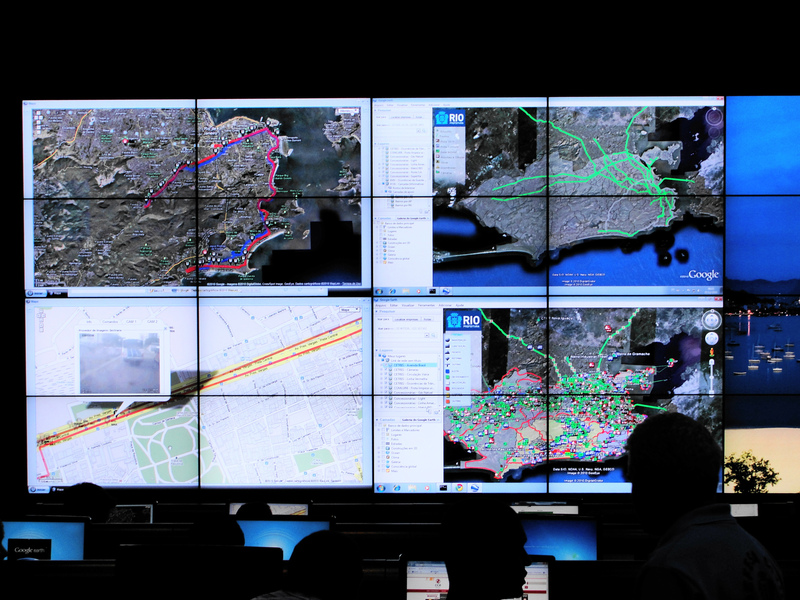 Although its initial focus was floods, the scope of Rio Operations Center expanded considerably. Beyond managing all emergency response situations, it’s also the city’s information management center. It monitors transportation, water, weather and energy 24/7, 365 days a year. The Center is part of the Smarter Cities initiative that IBM has been promoting since 2007. The group, which celebrated its 100th anniversary in June, has launched similar projects in cities such as New York City or Gauteng in South Africa. However, Rio is its most ambitious initiative to date, as part of the major transformations the city is going through ahead of the World Cup and Olympics. The Center itself is a paradise for data geeks: the amount of information displayed on its 300 screens is impressive, starting with the images streamed from 200 traffic cameras (soon to be 400). According to the Center’s Systems Coordinator, Dario Bizzo Marques, visitors from Google were also impressed by the heavy and innovative use his team makes of Google Earth. The several layers of real-time data come in particularly handy to manage crowd-intensive events such as Paul McCartney’s recent show, the Carnival or New Year’s Eve. It may sound simple, but the Center had to go after many sources to gather the disparate information it now aggregates; it’s still working on integrating more systems. Part of the consolidated information is already shared with the population, mainly via Twitter. The Center’s main Twitter account focuses mostly on traffic conditions, on which the transportation department (CET-Rio) sends even more detailed updates. As for the weather, the alerts service Alerta Rio shares daily bulletins with its 10,000 followers. In case of severe weather warning, SMS are also sent to key people in the affected communities and evacuation sirens can be activated. Although the amount of data that is made publicly available is still fairly limited, this could soon change. As we reported in our previous story on Startup Weekend Rio, Rio’s Digital Chief Officer Pedro Peracio is very interested in digital projects that will help Rio get closer to its citizens. Pedro’s job title was inspired by Rachel Sterne’s, appointed by New York’s Mayor Michael Bloomberg in January. Rio’s town hall is aiming high, and is willing to cooperate with developers to share relevant data with the general public. After a couple pilot projects, an API may even be made available. The mobile app 1746, through which users can contact the town hall, is an example of apps that can make the lives of Rio’s 6.3 million inhabitants easier. More applications are welcome, especially when they also target the growing number of tourists who visit the city (1.49m in 2010). This is the case of Posto Zero, one of the app projects the newly created web product development company Marte Polo Digital is working on. According to the web entrepreneur Marcelo Gluz, who is currently raising funds for the app, it will include essential data on Rio, but also a social layer connecting locals and tourists. What about you? Do you have an app idea for Rio?